Delivering a top-notch customer experience is more important than ever to companies’ continued success. Several recent studies show the link between customer experience and bottom-line performance. 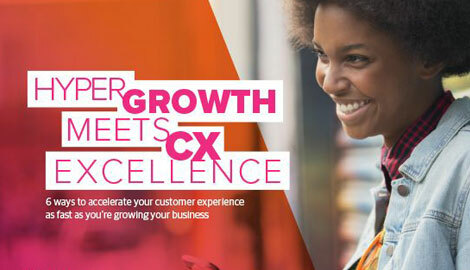 Delivering a top-notch customer experience is more important than ever to companies’ continued success and growth. In fact, several recent studies confirm the link between customer experience and bottom-line performance. Forrester Research, for example, recently indexed companies’ customer experience statistics and released a study detailing how executives can gauge their customer experience maturity. Peppers & Rogers Group and SAS also partnered to measure customer experience maturity, drawing parallels between competitive advantage and well-executed customer experience programs. Additionally, Peppers & Rogers Group studied customer relationships in Europe across various industries, comparing retention and loyalty to levels of customer experience delivered. There are three common conclusions across the studies: Customer experience directly correlates to business results; many companies lack the understanding, technology, and willingness to adopt effective customer experience programs; and the businesses that do “get it” are gaining an edge against their peers, even in a difficult economy. “A focus on superior customer experience leads to success,” says Martha Rogers, Ph.D., a Peppers & Rogers Group founding partner. The studies and their statistics speak for themselves. If an organization views customer experience as a differentiator and ingrains its importance into its culture, measurable results will follow. And all along the customer experience maturity curve, there are myriad ways to gauge where a company stands, as well as incremental steps it can take to develop an effective customer experience strategy. The excerpts of the survey findings that follow give insight into how. The total experience of a customer with a company is worth more than any one communication. Customers feel first and think second—and interactions with a company strongly influence their heart and produce a longer lasting impact than communications directed toward their heads. But how well do companies deliver that total experience? Customer expectations differ widely across industries. That’s the conclusion based on research from Peppers & Rogers Group and InSites Consulting, which surveyed customers in Europe to understand how various industries manage their relationships and experiences. “The results of our research will help companies observe where they need to improve and where they can make differences in the eyes of their customers,” says Aysegul Bahcivanoglu, director of Peppers & Rogers Group Brussels. The study’s relationship index measured industries by four attributes: general satisfaction, likelihood to recommend, likelihood to choose again, and likelihood to pay a premium price. Statistics were consistent across national borders, but varied widely by industry, with automotive at the top and financial services bottoming out the group.